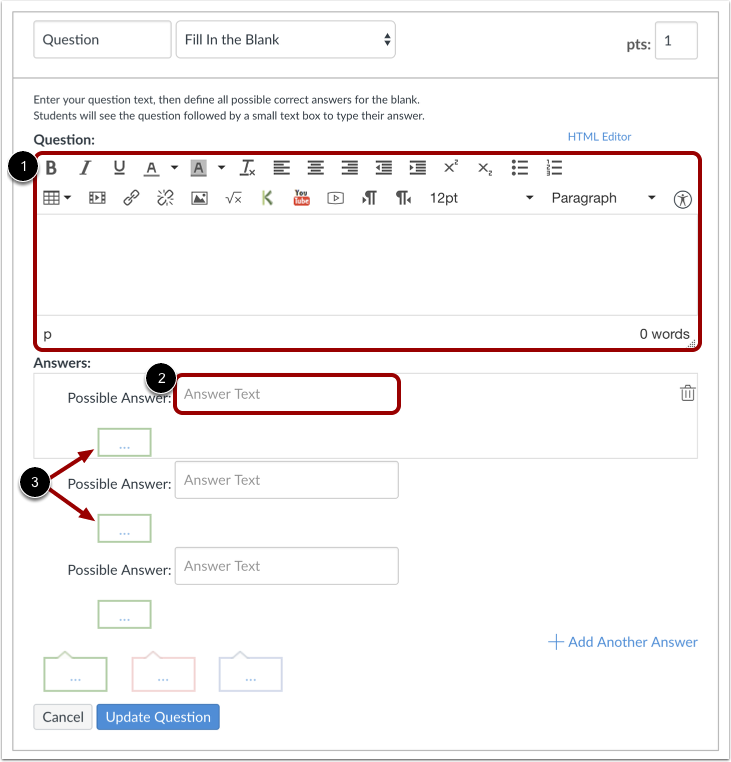 You can create a single fill-in-the-blank question in your quiz. 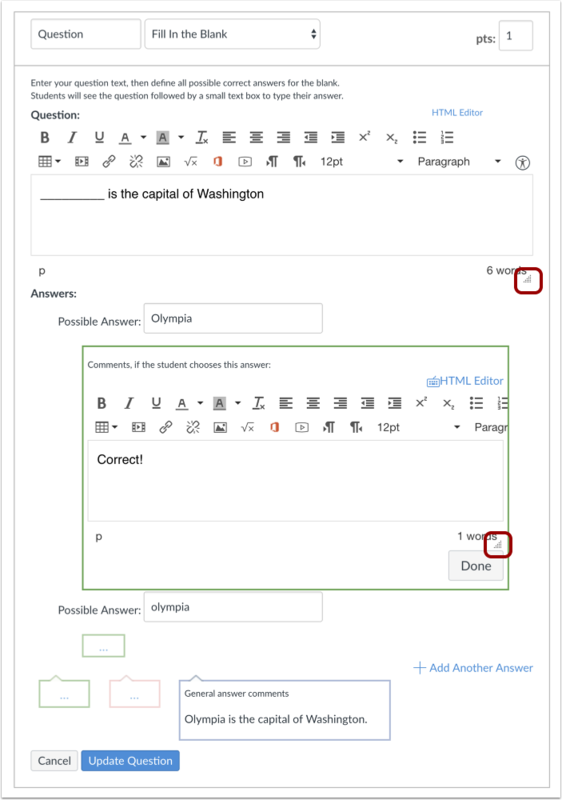 Click the drop-down menu and select the Fill In the Blank question type . Currently, fill-in-the-blank answers are not case sensitive. The only way a student will get the answer incorrect is if it is left blank or the answer is misspelled. You can click Add Another Answer to add as many different versions of the correct answer as possible if you desire. This is what students see when they encounter a Fill-in-the-blank question in a quiz. Students will see if their answer is correct as indicated by the green flag . 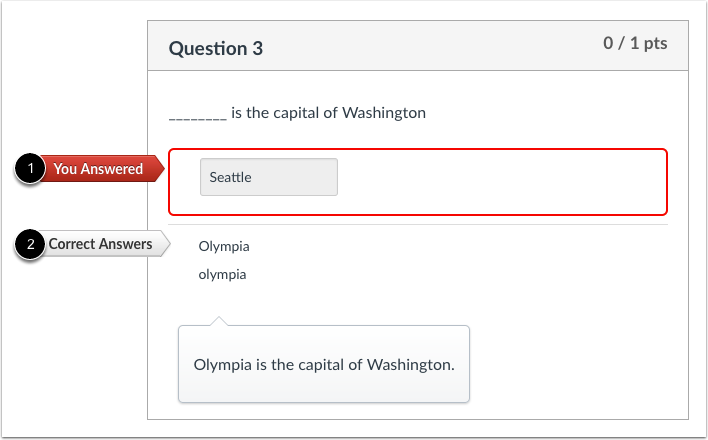 If you allow students to see the correct answers, they will see all of the potentially correct responses (if any) indicated by the gray flag  after submitting the quiz. Students will see if their answer is incorrect as indicated by the red flag . If you allow students to see the correct answers, they will see all of the potentially correct responses indicated by the gray flag  after submitting the quiz. Previous Topic:How do I create a True/False quiz question? 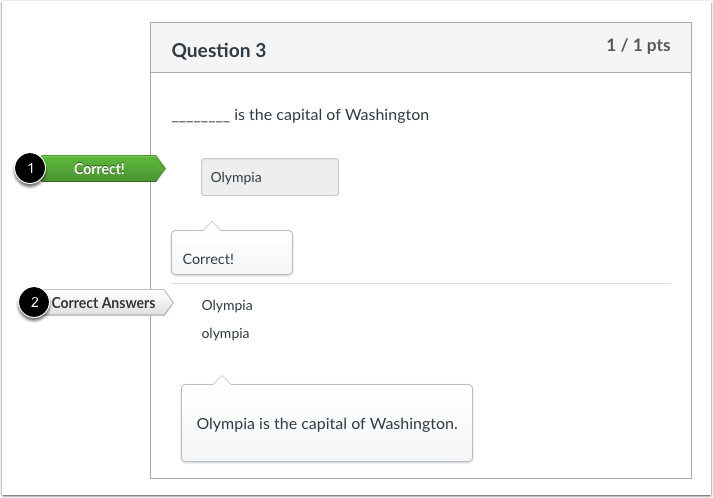 Next Topic:How do I create a Fill-in-Multiple-Blanks quiz question? 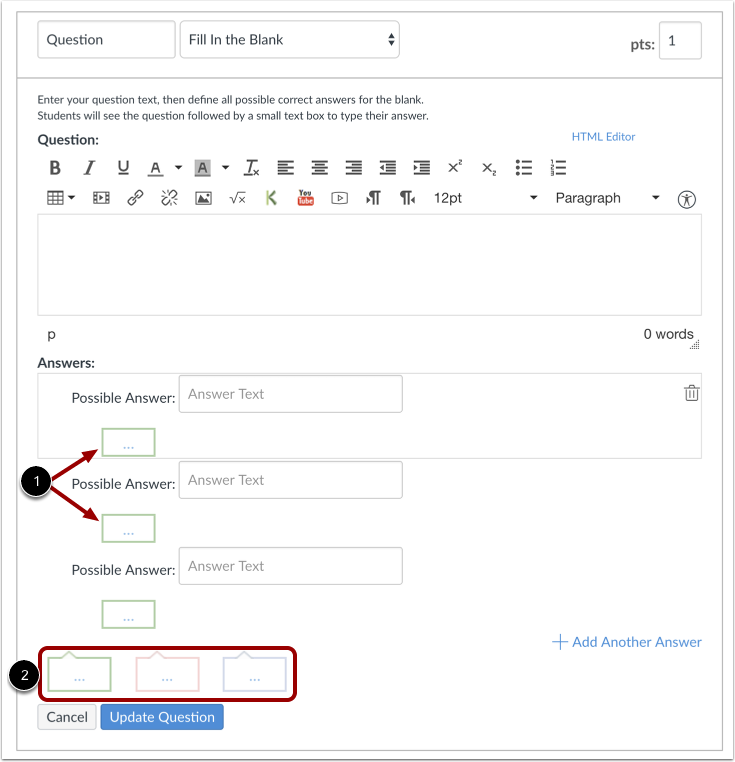 Table of Contents > Quizzes > How do I create a Fill-in-the-Blank quiz question?